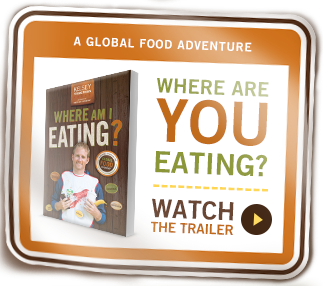 Teachers & professors, Request a free copy of Where Am I Giving? HERE, request a copy of Where Am I Eating? HERE, request a copy of Where Am I Wearing? HERE. If you’re an educator and plan to use Where Am I Giving? in the classroom, or you’re a student exploring your own giving story, the supporting discussion questions and reflection guide will help you map out your own adventure to giving. View the Where Am I Giving? photo album. I’m always happy to share curricula, activities, and study guides that educators use in their courses, so if you’re willing to share, please email me — kelsey@kelseytimmerman.com. Also, if you are using any of my books in your class, let’s set a time to Skype with your class. Where Am I Wearing? started as my journey, but since the book came out it has become about our journey: consumers and companies, teachers and students. WAIW has found its way into a wide array of high school and college courses including sociology courses at Rutgers, Carnegie-Mellon, and Colorado State, business courses at Indiana University’s Kelley School of Business, California State, and the University of North Carolina-Greensboro, and Anthropology courses at Ball State and Wingate to name a few. 116 questions to engage your students, 8 activities to link them with the world. A graphic-intense introduction to thinking about our place in the global market. I recommend using this as you embark on the WAIW journey and reviewing it again at the end. Great questions for test or quizzes to make sure your students are doing the work and getting the basic concepts. If you’re looking for images, textures, and faces to add depth to your journey this is the place to do it. If you’re using WAIW in your class, I want to help make the experience one that will stick with your students. I regularly visit campuses and classes across the country. Invite me to visit yours. Let’s arrange a virtual visit via Skype. I’m TheGreatTouronKing.